But most importantly they wished to attack the shale oil industry which was thought to have its Achilles heel in its relatively high production cost. With Saudi Arabian production cost at around $3/barrel, even a long period at low oil prices was considered a critical advantage. The strategy backfired and Saudi was forced to participate in OPEC’s production cuts to prop up the oil price. But even that action is now backfiring as the shale oil industry has emerged leaner and meaner and is now ramping up production again. Last week the oil price dropped some 10% as shale oil now retakes some of the market share it had lost. The glut continues and we are unlikely to see prices much above $50-60/barrel for the next 2 or 3 years. The Saudi attacks have only helped shale oil to reduce its own costs dramatically. They are far less vulnerable to attack now than in 2015. At that time they needed an oil price of around $80 to make any reasonable profit. Now they are so much leaner that they are viable at oil prices even as low as $40/barrel (and some wells are now rivaling the Saudi production costs). Two and a half months into the supply-cut deal, it looks like OPEC is losing the campaign to prop up oil prices. The drop in prices that began last week saw them retreating to almost exactly the same level as on November 30 – just below $52/barrel for Brent – when the OPEC deal was announced, the International Energy Agency said in its monthly report on Wednesday. At the same time, reduced breakeven prices in many shale plays and forward locking-in of production is allowing the companies currently drilling in the U.S. to turn in profits even at a price of oil at $40 a barrel. The U.S. shale patch has not only emerged leaner and more resilient from the downturn, it has also hedged future production with contracts guaranteeing the price of the crude they will be pumping a year or two from now, Bloomberg reports, citing industry executives and analysts. I see that in South Australia some people have been complaining about the “record” heat with temperatures of 44ºC. Of course they take this as “evidence” of global warming. Never mind that some 120 years ago without any urban heat effects and without any industrialisation, the temperature reached 48-49ºC. It wasn’t global warming then. In any event, South Australians and their elected representatives must get used to the fact that they have only themselves – and their political correctness – to blame. Winning greenie points seems to take precedence over common sense. 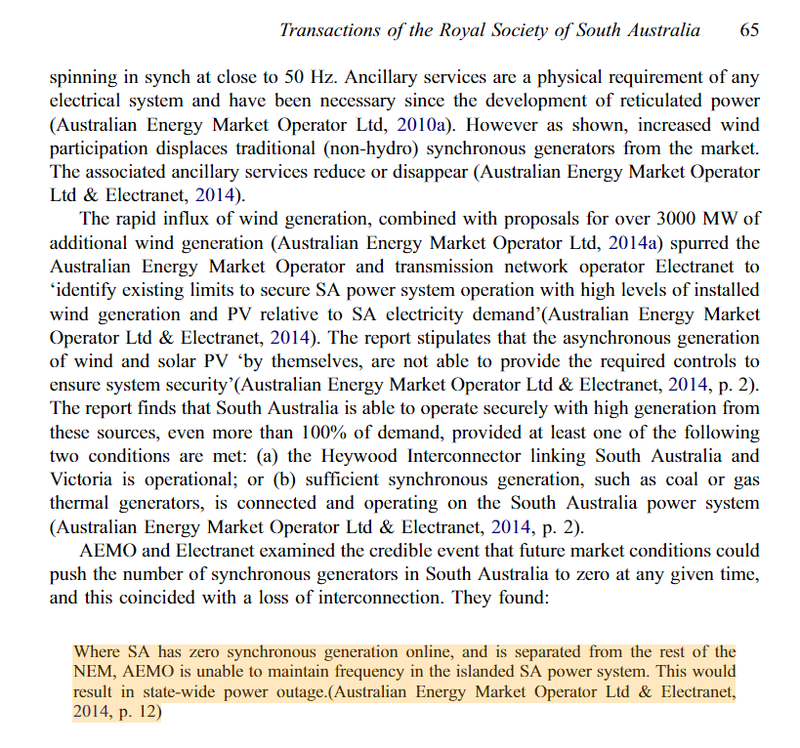 The SA blackouts caused by unreliable solar and wind were predicted two years ago in the journal Transactions of the Royal Society of South Australia, and every MP in the Parliament was told. 100,000 SA customers blacked out because of reliance on unreliable wind and solar power in our network – more than a third of SA’s generation capacity. IT is hard to disagree with the blunt assessment of Business SA that South Australia has been caught on electricity planning like a frog in boiling water. The story goes, with mixed results in scientific experiments, that a frog suddenly put into hot water will jump out but if heated slowly it will not figure out the danger. The state was warned of the electricity-shortage crisis – and consequent blackouts – yet ignored the warnings, according to Business SA executive Anthony Penney. “The most frustrating aspect of this most recent event is that it was anticipated by many businesses and other energy industry experts well in advance but, like the frog in boiling water, nothing happened in time,” he says. This week the SA frog boiled. About 100,000 customers were blacked out because of the reliance on unreliable wind and solar power in our network – more than a third of SA’s generation capacity. ………. Ben Heard, a doctoral researcher at the University of Adelaide also runs environmental non-Government organisation Bright New World – which supports the use of nuclear – explains the problem. He says the SA blackouts caused by unreliable solar and wind were predicted two years ago in the journal Transactions of the Royal Society of South Australia, and every MP in the Parliament was told. Come 2100, I expect the world will still be using fossil fuels for around 70% of its energy needs. The German Muenster district court on Thursday granted an emission-control permit to Datteln 4, a hard-coal fired power station under construction by utility Uniper that has been held up by an intense legal battle with environmentalists. Uniper said it aims to begin supplying electricity and district heating from the 1,050 megawatts plant in western Germany in the first half of 2018. A major generator of Victoria’s coal-fired electricity is set to be expanded. ENGIE has welcomed the Environment Protection Authority’s (EPA) recommended approach to granting statutory approval for the turbine upgrade project at the Loy Yang B power station. The approved project will see the retrofit of two turbines with a higher efficiency design to improve the station’s thermal efficiency and increase operating flexibility. The works will occur in 2019 and 2020 during planned outages. The Japanese government is moving ahead with its plans to build up to 45 new coal fired power stations. 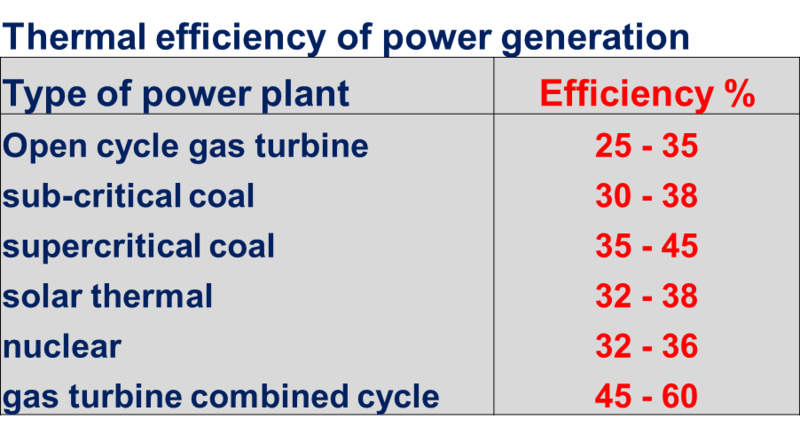 The power plants will utilise high energy, low emissions (HELE) technology that use high-quality black coal. Japan is the largest overseas market for Australian coal producers, taking more than a third of all exports. 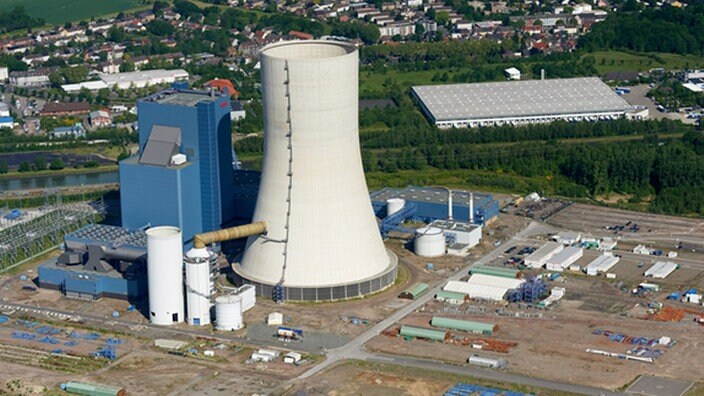 German coal and gas-fired power plant output in January rose to its highest in almost five years as cold weather boosted demand while below average wind and record-low winter nuclear availability reduced supply. GE’s Power Services will complete the modernisation of Elektro Privreda Srbije’s (EPS) TPP Nikola Tesla, the largest coal-fired power plant in Serbia. The power plant features two, 210 MW LMZ steam turbines and four (A3-A6), 308 MW GE units. GE will provide a steam turbine full shaft line retrofit solution for high-pressure, intermediate-pressure and low-pressure turbine modules, as well as a new turbine governing controller system. In addition to the controller, the project includes GE’s advanced 3-D blades, new rotors, rotary blades, stationary blades, inner and outer casings and other associated parts. As part of the agreement, GE will commission a WT23S-106 generator unit – the largest ever installed in Serbia – at the TPP Nikola Tesla B2 site to help improve availability and reliability of the plant. …….. The operating life of the steam turbine unit – an estimated 250 000 working hours – will be extended for an additional 100 000 operating hours, and the maintenance intervals between major overhauls will be extended to nearly 10 years. It is reported that Donald Trump has a short-list of four for Energy Secretary. What seems clear is that whoever it is will be making coal jobs a priority. One of the four (Rick Perry) would be a fierce opponent of all the fake science masquerading as “climate science”, while two (Heidi Heitkamp and Joe Manchin) are coal protectors rather than climate change opponents. The fourth (Ray Washburne) has been involved primarily in economic and finance matters and has (for me) unknown positions about coal and AGW. But he is from Texas and is unlikely to ignore the bottom line (which is of no consequence for the AGW orthodoxy). Bloomberg: Donald Trump has narrowed his search for energy secretary to four people, with former Texas Governor Rick Perry the leading candidate. People familiar with the president-elect’s selection process said two Democratic senators from energy-producing states — Heidi Heitkamp of North Dakota and Joe Manchin of West Virginia — are also in the mix, along with Ray Washburne, a Dallas investor and former chairman of the Republican National Committee. If Trump picks any of the four he’ll break with recent tradition of putting scientists at the top of the Energy Department. Among other things, the agency is responsible for policies on the safe handling of nuclear material and on emerging energy technologies. A quick search gives the positions of the four on coal production and the global warming fantasy. Rick Perry could be expected to be quite active in cleaning out the muck in the Department of Energy Climate Change stables. Heidi Heitkamp: I applaud the President’s efforts to address climate change and its effects. …… However, several of the initiatives introduced today by the President, while not new, amplify the Administration’s continuing war on coal and coal-fired power. While the President claims to believe in an all-of-the-above energy policy, he consistently fails to step-forward and truly commit to such a policy. Instead the Administration continues developing regulations that do nothing more than choke off good-paying American jobs, and threatening millions of Americans with the loss of a reliable and affordable energy source. Instead of taking this route, we need to find a path forward for the coal industry and coal-fired power by encouraging continued investments in new and existing technologies to further reduce emissions through clean coal technology projects including commercially scalable carbon capture and sequestration. Heitkamp is only concerned about jobs and will subordinate her thinking to that end. Her apparent belief in carbon capture and sequestration though suggests that her logical thinking is a little suspect. To be kind, it may just be her attempt to save coal jobs and not any strong belief in nonsense technology which which has no real purpose and which has a fundamental “floor” energy cost which makes it meaningless. STEVE DOOCY (HOST): The President of the United States declared a war on coal and a war on jobs and essentially a war on West Virginia. MANCHIN: Well, really a war on America. 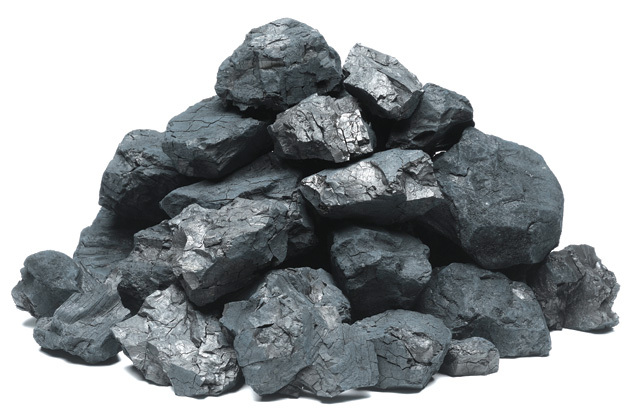 When you look at it from that standpoint, 8 billion-tons of coal is being burned in the world as we speak. The United States of America consumes about one billion tons. Now, what’s going to happen to the other 7 billion-tons? What’s going to happen to the countries that are consuming and using 7 billion and it’s increasing rapidly? Nothing is being done there. We have done more to clean the environment than ever in the last two decades. And there is more that can be done. Manchin, like Heitkamp, is primarily concerned about jobs in the coal industry. He has not dared, politically, to be heretical about global warming orthodoxy but has fought for coal jobs. Ray Washburne: Mr. Ray W. Washburne has been the Chief Executive Officer of Charter Holdings since 1990 and its President. Mr. Washburne has been National Finance Chairman at Republican National Committee Inc., since February 2013. He is a Managing Partner at HP Village Partners Ltd., and served as Managing Director. He was the Chairman of Charter Holdings since 1990. He also serves on the board of directors for M Crowd Restaurant, which he co-founded in 1991. He serves as Director of Baylor Health Care System Foundation. He has been Director of Entrust Inc. since June 5, 2006. He has been an Independent Director of Veritex Holdings, Inc., since 2009 and serves as Director of Veritex Community Bank. Mr. Washburne is also a Director for Colonial Bank, Southern Methodist University-21st Century Council, and Dallas Citizens Council. He is an Adjunct Professor at SMU’s Cox School of Business and graduated from Southern Methodist University (“SMU”) in 1984. It is not apparent that Washburne has any strong position on coal or energy or AGW. Nevertheless he can be expected to have a clear view of the bottom line and therefore, not a great supporter of subsidising non-commercial technologies for religious or ideological reasons. If I had to bet, I would put a small amount of money on Rick Perry. Canada has been experiencing some rather cold weather with windchill factors down to -40°C. Environment Canada has issued an extreme cold warning starting in northwestern B.C., going west through central and northern Alberta, central and southwestern Saskatchewan and southeastern Manitoba. By Friday afternoon, the extreme cold warning extended to most of central and northern Alberta, including High Level and Fort Chipewyan and as far south as Airdrie and Cochrane. The Alberta Electric System Operator AESO reports record electricity consumption due to the cold spell. Extremely cold weather across Alberta this week contributed to the province setting three records in a row for electricity consumption. On December 8, 2016 between 5-6 p.m., Alberta was using a record hourly average amount of electricity at 11,442 MW. This surpassed the December 7 record of 11,404 MW, and the December 5 record of 11,400 MW. The new winter peak usage was set due to cold weather, reduced daylight hours and the convergence of Christmas lighting load at homes, businesses, malls and buildings across the province. Another factor that contributed was the low market price for electricity – this prevented price sensitive industrial facilities from going offline during peak hours. The average wholesale price for electricity during that peak hour was approximately $30/MWh. 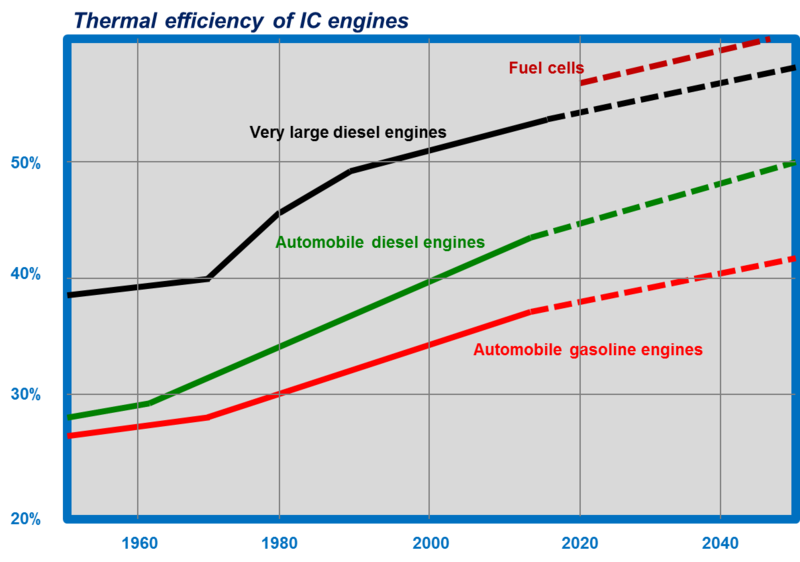 In Alberta the installed capacity and energy generation shows the reliance on fossil fuels in general and coal in particular. It’s a good thing they have coal to fall back on. The SNP’s idiotic environmental policies means that Scotland has to import shale gas from the US even though there is plenty available locally. North Sea revenues for Scotland have collapsed and Scottish energy policy is a self-inflicted wound. In Europe generally, it is misguided, meaningless, environmental constraints on energy policies which have been a major contributor to holding back the economic recovery. The low oil price in 2016 has effectively postponed any new independence referendum for a few years to come. Without North Sea revenues Scotland – if it wants to be an independent EU country – would be the “poor man of Europe” for 2 decades. The first shipment of US shale gas is arriving in Scotland amid a fierce debate about the future of fracking in the UK. The company said the gas would replace dwindling North Sea supplies and secure the future of the plant’s workforce. Saudi Arabia started its war on US shale oil in the autumn of 2014. Oil prices in June 2014 were around $110 per barrel and were on the way down as US shale oil producers were ramping up production. The expectation was that the OPEC cartel would reduce production to hold prices up. The conventional wisdom was that whereas Saudi Arabia had a production cost of about $3 per barrel, shale oil had a production cost of over $50 per barrel and upto close to $100. Oil from Canadian tar sands was thought to have a production cost of above $70 per barrel. Both were though to require oil prices well in excess of $70 and close to $100 to be viable. But Saudi Arabia decided to strangle the burgeoning shale oil industry and started an oil war. It forced other OPEC members to focus on market share and hold production levels. Even though there was a glut of oil on the market. Oil fell to below $30 per barrel earlier this year before recovering to around $45. Saudi’s strategy was based on the assumption that rock-bottom prices would kill off the upstart non-OPEC, US shale producers. Low production costs would allow the OPEC producers to take some pain for a year or so. Certainly this strategy has had some effect. U.S. oil production is about one million barrels per day lower than a year ago. 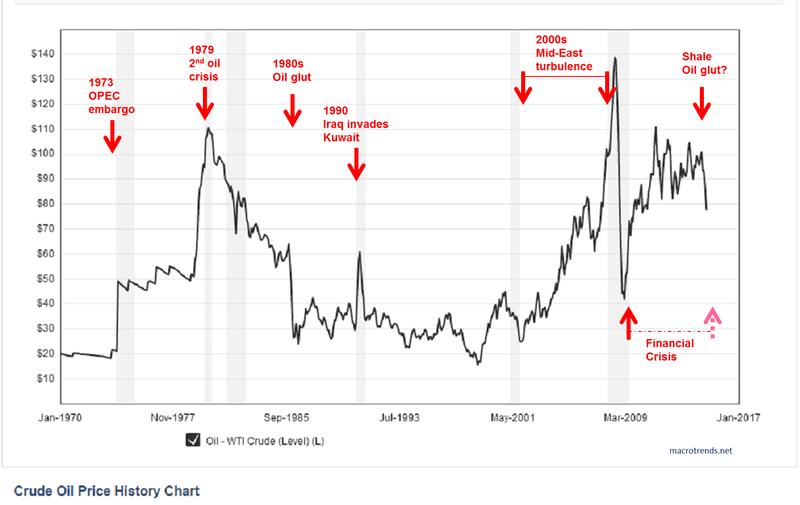 Certainly some shale oil producers have gone out of business. But US oil production is much higher than thought possible at the prevailing price. The main effect of the Saudi strategy has been counter-productive. There has been a remarkable burst of innovation among the shale frackers which has drastically reduced shale oil production costs. The costs for shale production that I had reported 2 years ago no longer apply.Then the cheapest shale oil to produce was from Marcellus shale at around $24 per barrel. 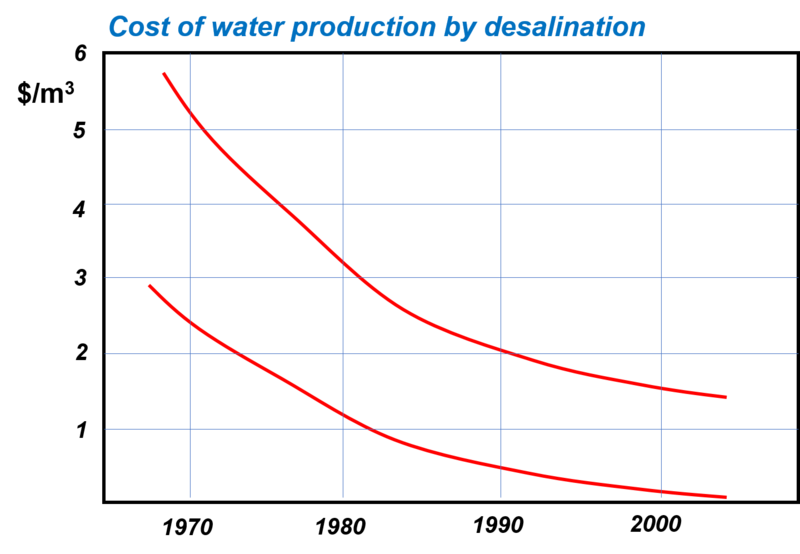 But the cheapest today costs $2.25 a barrel on horizontal wells in the Permian Basin of West Texas. That is directly – and even favourably – comparable with the Saudi production costs. Reuters: Improved fracking techniques have helped cut Pioneer Natural Resources Co’s production costs in the Permian Basin to about $2 a barrel, low enough to compete with oil rival Saudi Arabia, CEO Scott Sheffield said on Thursday. On Pioneer’s second-quarter results call, Sheffield said that, excluding taxes, production costs have fallen to $2.25 a barrel on horizontal wells in the Permian Basin of West Texas, so it is nearly on even footing with low-cost producers of conventional oil. “My firm belief is the Permian is going to be the only driver of long-term oil growth in this country. And it’s going to grow on up to about 5 million barrels a day from 2 million barrels,” even in a $55 per barrel price environment, he added. ……..
Pioneer expects output to grow 15 percent a year through 2020 after posting production of 233,000 barrels of oil equivalent a day this past quarter. 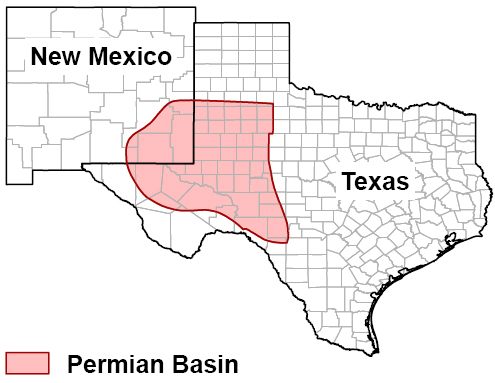 It sees most of its growth in the Permian, though it also has acreage in the Eagle Ford. Pioneer helps limit costs by doing much of its oilfield services work in-house. It also has its own sand mine, and uses effluent water from the city of Odessa for frack jobs using pressurized sand, water and chemicals to unlock oil from rock. Even at prices less than $20 per barrel, some considerable quantities of shale oil would continue to be produced. The Saudi strategy is backfiring.